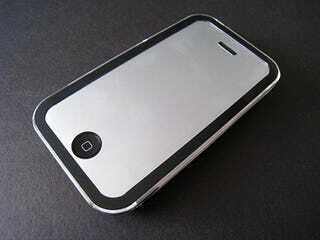 The iShield Mirror is, at its core, a two-piece hardshell protective case for the iPhone. However, the manufacturer takes it a step further by adding a film to the surface that functions as a mirror when the phone is not in use. When activated, the film is transparent enough and thin enough to allow for normal usage.